2014 World Cup wallchart featuring Rene Higuita and Jorge Campos Next up, taking pride of place on my wallchart, are a couple of the 1990's craziest keepers. 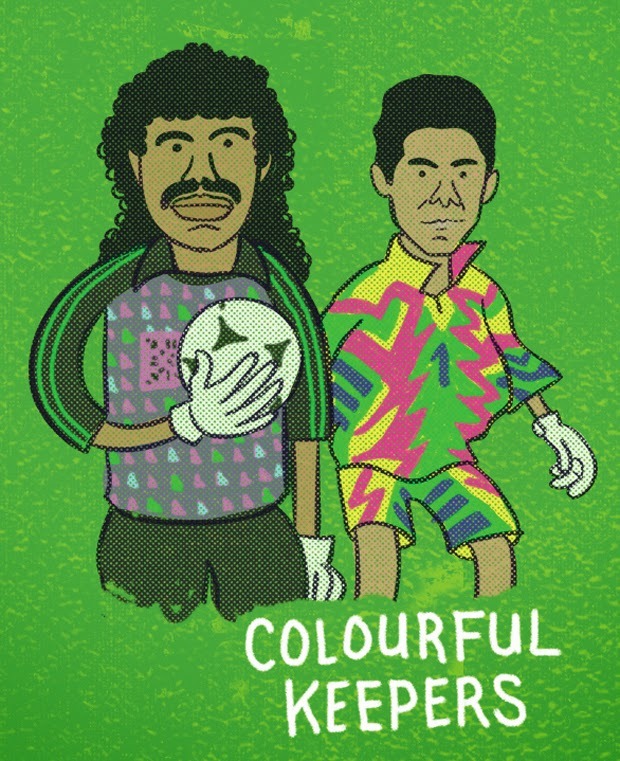 On the left is René Higuita, Columbia's 'Sweeper keeper'. Higuita was famous for scoring free kicks, his habit of leaving his goal to dribble the ball up the pitch and also his trademark Scorpion kick . Here is 'El Loco' in probably his most infamous World Cup moment back in 1990. Next to him is Jorge Campos who played between the sticks for Mexico in the 1994 World Cup in USA. 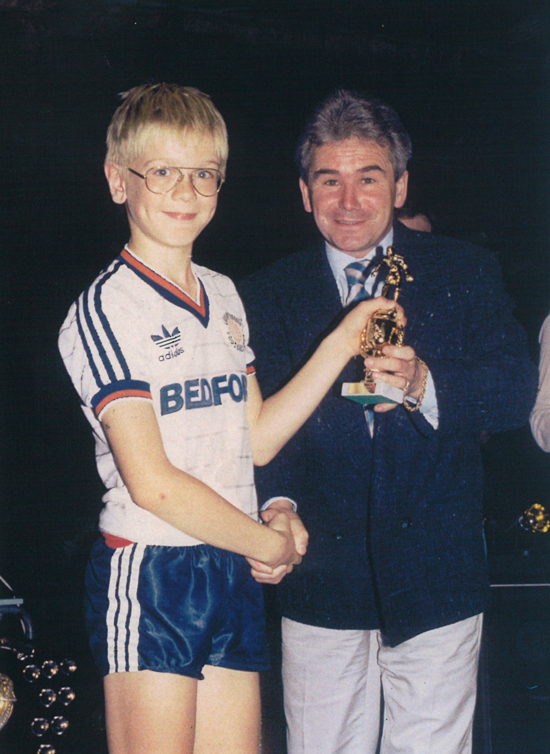 Flamboyant Campos was also partial to a stroll up the pitch but is probably better known for his (self-designed) headache-inducing kits. Click here to purchase one of my 2014 World Cup wall charts.